Not aesthetically pristine and may have minor blemishes that are not considered defective. Primary grind established at factory but may require sharpening before first use. 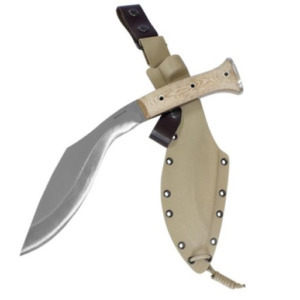 This distinct machete, popular in parts of the Caribbean, has a classic panga style blade. 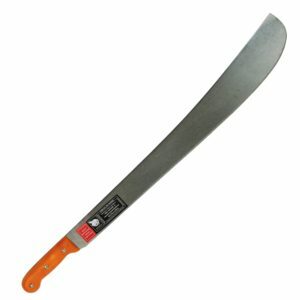 A heavily weighted machete good for chopping, it has 3 grooves in the base of the blade that increase flexibility. Imacasa is based in Santa Ana, El Salvador, but produces machetes for almost all of the Americas. Imacasa machetes and cutting tools are designed to excel in industries such as agricultural, construction and gardening. 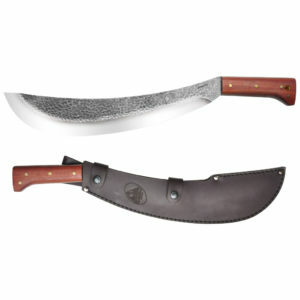 Imacasa is the sister company of Condor Machetes, whose reputation of producing quality machetes has been established for over two centuries. Like Condor, Imacasa produces excellent quality machetes and has a marketing policy directed toward customer satisfaction in each region. 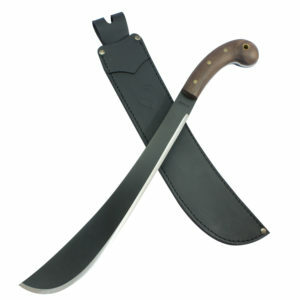 With their willingness to adapt to local styles and quality manufacturing, Imacasa machetes have received great acceptance and a big demand in many markets. 2.90 mm. / 1.7 mm. Ralph Martindale and Co., Ltd. Copyright © 2018 MacheteSpecialists.com. All Rights Reserved.